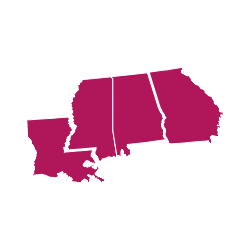 Louisiana is known as Cajun country, where the land there was formed from sediment washed down by the Mississippi River, forming huge deltas and massive areas of coastal marsh and bayous with alligators and tree frogs and trees lined with spanish moss. Ibis and egrets fly through longleaf pine forests and wet savannas are filled with orchids, pitcher plants and sundews. Camping in Louisiana is an experience like no other. Whether it’s by RV, tent or just under the starlit sky, camping in Louisiana is an adventure unlike anywhere else in the United States. But it’s not all wetlands and marshes. Enjoy the best of coastal camping in Louisiana’s beachside community of Grand Isle. Located where Highway 1 meets the Gulf of Mexico, it’s the closest Louisiana beach from Baton Rouge and New Orleans, making these destinations a convenient day trip while you’re camping. Grand Isle is, in fact, an island and a town, with small, locally-owned shops and a state park just made for camping. With 63 sites available, Grand Isle State Park is a great place to camp on the beach and cook the seafood you just caught during July’s Grand Isle Tarpon Rodeo, an event that brings together the best saltwater fishermen in the world. Or, if you like bird watching, the Grand Isle Migratory Bird Festival offers plenty of opportunities to see a myriad of bird species return home from South America. Of course, there’s plenty of swimming, hiking, crabbing and boating in Grand Isle as well. Another great place for camping in Louisiana is Tunica Hills, which belongs to the Bluff Hills portion of the Mississippi Valley Loess Plains and extends from the Natchez, Mississippi area to St. Francisville, Louisiana. 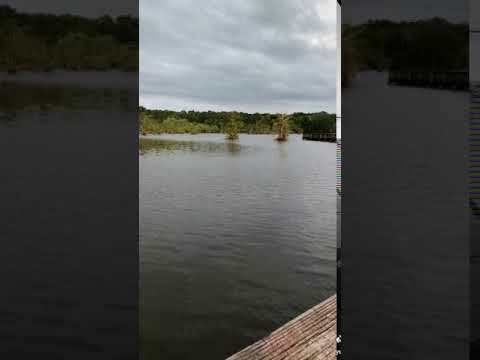 Managed by the Louisiana Department of Wildlife and Fisheries, the Tunica Hills Wildlife Area is northwest of St. Francisville and covers more than 5,900 acres of rolling hills and scenic beauty. Remember when I talked about the wetland and marshes? Tunica Hills isn’t anything like that; in fact, it’s unlike any other area in Louisiana. In Tunica Hills, you’ll find springs and waterfalls, rugged terrain, cliffs 90 feet high, deep gorges and lush, diverse plant life and animals you won’t find anywhere else in the state. And while Tunica Hills is known for hunting, a variety of other activities offer campers plenty to do such as horseback riding, hiking, ATV riding and sightseeing. And if you’re a birding enthusiast, then you’ve hit the jackpot because rare birds such as the Coopers hawk and worm-eating warbler live within the thick forests there. It’s no wonder John James Audubon was inspired to paint his famous bird series there in the early 1800s. Louisiana is full of other places to go camping. Don’t worry, we’ve got more recommendations. And while you’re camping in Louisiana, you might as well cook like you’re in Louisiana. Let us know how your experience in Louisiana was by leaving a review of your campground on The Dyrt. Timing is everything, really depends on when you go. Sometimes it crowded and noisy, sometimes quite and peaceful. Pretty nice lake! Great camping, group areas, beautiful scenery. Great pier and view of Lake Pontchartrain! This place is ok, there are hook ups and a great trail, its next to a city park for the kids but then there is the however part. Its in the middle of town, you travel thru a neighbor to get to it, the park is a city park so on the weekend its pretty crowded. If you are looking for a place to park your camper and ride around on golf carts this is the place for. If you are looking for a place to camp and experience the great outdoors, not so much. Love Indian Creek! Quite, just far enough away and still close enough to go any time! I'm going with 41/2 stars! Great facilities, Great fishing, Great hiking, Great Arboretum! The only down side is that it can get a little crowded and noisy on busy weekends. This was a quiet spot surrounded by woods but near the super clean bathroom! There was a fire pit, grill and picnic table for use! Day 2 we rented a boat and paddled out for some fishing. The process was seamless and the staff friendly. The fishing pier was amazing and the kids loved how far out it went. Overall a great experience. This is a small RV Park, with only about 40 sites. It is just 5 miles from down town New Orleans, and the French Quarter. They are on the bus line, and also have a shuttle to the Quarter. This Is a gated facility, all full hook-ups, and free WIFI, Pool, Spa, Coin-op Laundry with clean, modern restrooms. The owner lives on-site, and will gladly help find and book tour for you. We stopped here on our way to Florida. Pulled our 38 foot fifth wheel right onto the sand and spent just one night. Woke up to the most beautiful views just 50 feet from our camper. We were the only campers on the beach in December. The weather was in the 60s and sunny. We will be back when we can spend longer! Tips: Be careful you don't get stuck in the sand! Check before you pull out on the sand to avoid getting stuck. Also bring mosquito spray! Tickfaw State Park is a Louisiana State Park located just outside of Springfield, LA. The park is not very large, but big enough not to constantly run into people. On this visit, we took our Christmas pictures along the “Cypress Gum Trial” - a boardwalk walk trail located across the street from the campsites and around the playground(s). There is a nice covered area with picnic tables. There are 2 camping loops - (1) for tents and (1) for RV’s. Our site, #37 on the tent loop, we had enough space as well as privacy. We went the weekend after Thanksgiving and the park was not overcrowded and the weather was perfect. I did find the boardwalk trail was VERY slippery covered in wet leaves. The campground isn't the prettiest, but it's got a convenient location and offers hiking, kayaking, boating, and fishing options. I was warned over and over about the racoons, but we didn't experience them. Even in February there was a good bit of humidity - and the fish weren't biting. We had an enjoyable time, but only plan to stay here when going further is not an option. We tent camp here in early Spring in the camping area #2 and comeback weekend after weekend. Many wonderfully marked hiking trails, two of the best frisbe golf courses in Louisiana. There's a nice little beach where the kids can play and a playground area as well. The bathrooms are clean and warm (welcome in the winter and spring). The pavement is well kept and great for kids to ride bikes or scooters. The King of the Moutain Trail is my favorite becaues of it's wooden bridge and tiny waterfall. Nice little campground 20-30 minutes from NOLA. Perfect spot for camping outside of the city. The facilities were clean and well maintained. The mosquitos were fierce after dark. Short drive to Barataria Preserve for seeing wildlife. Sites are are large but watch what side your picnic table may be on. Nice RV Park with pull through slots. Nice State Park on the Tchefuncte River in St.Tammany Parish. Bathhouses are clean and single use so you can take care of using the bathroom, showering, drying your hair…etc all in one private room. RV spots are concrete. Water and electric hookups, no sewer, but they do provide a dump station, has a nice play area for kids, and provides primitive camping spots as well. There is a fishing dock, and a wooden pier trail. We like staying here near our family. Quiet, semi private sites. We are at site 39 which has 2 access areas for kayaks, canoes, etc. The ground is pretty sloped though. There is a private beach for campers. Also a public boat launch and beach. The water looks kinda nasty, so this girl won't get in it! Very nice kayaking. Playgrounds for kids, probably loud in the summer. We went camping in a tent this weekend at the park and really enjoyed it. We stayed at the south landing camping area in loop A. If you plan on camping in a tent I recommend the spots in loop A and most in loop D. B and C are more for RVs but you could still set up there, those two loops are more open and the spots are closer. Loops A and D are a little more spread out and have trees between some spots. The main bathroom was in good shape and had heat. Trash was picked up every morning by the park. Our spot had a fire ring, water , and electricity. The park allows you to use dead tree limbs for firewood. One thing to know about spots on loop A near the comfort station is that there’s a treatment plant in the center that kicks on every once in a while and makes a good bit of noise at night when the motor runs. It helped put me to sleep but it might bother others. Also theres no cell signal except in one or two random spots of the campground but it was nice to unplug for a weekend . We really enjoyed this campground and park though and will definitely be back . Pads are level, wooden deck fire ring, plenty of room for tents, laundry room bathroom & showers were clean, playground well kept. My boys enjoyed the fishing. Short drive to French Quarter. 1st stop for 2 month trip. Friendly staff. Pull through slots. It took a little work to get level. Great little Park. 14 sites. $12 a night. Reservable. Max stay 14 days per month. Day use area, playground, bathrooms, shower, pavilion, dump station, boat ramp. The host is wonderful. Clean, family owned and operated fishing oriented lodge. RV sites behind the lodge, some semi permanent units there. The lodge itself has several motel suite type accommodations plus a larger main lodge that can sleep in excess of 10 people. We attended a family reunion there and it was great. If you like to fish from a dock, boat, canoe or kayak, and are looking for an overnight getaway, this is worth a try. This park is old and needs some work, but we enjoyed the stay. We were there mid-February 2019 and stayed for a week. It rained almost the entire time we were there so didn’t get to explore as much as we would have liked. However, one day we were able to walk the trail beside the river which was very nice and well-maintained. The campground is small and for the weekend it was full. During the week there were very few campers. We were in spot #53 and I would highly recommend that spot. We only had one neighbor to one side, and it felt a bit more isolated than the others. When things are full on the weekends, it can seem a bit crowded with spots being close together. It never felt like to cramped for us because we had (IMO) one of the best spots in the campground. Some spots have full hook-up, while others are electricity and water only. Ours was electricity and water only. The dump station is nearby and if you need to dump with a tote you could easily do so. Most of the campground is not level, but nothing bad enough that you can’t get level with blocks. There is a very nice laundry room that is free. That was a great perk. There are 3 washers and 3 dryers. Several of the units seemed brand new. We took advantage of that and did some laundry during our stay. Like I said, it rained the entire time, so the site was muddy, but not as bad as we thought it would get. Internet access was good. We had 3-4 bars of AT&T and Verizon. Lake Charles and Sulphur are not far away and have anything you need while visiting. The park has some nice scenery and the trail provided some good wildlife. The main things they need to do to improve it would be fix some of the roads/camping spots that have significant potholes. Also, the camping spots could benefit from some grading to make them a bit more level. It is my understanding that the park has made vast improvements recently and it shows. Give it a bit more time and it will be a great place to stay. Overall, we would probably camp there again. Cost is $20/night during the week and $28/night on the weekend. These price are for off-peak season.